We are in those last few weeks of summer, which means that it is hot, hot, hot! With all of this crazy heat we have been having, it can be easy to let style fall to the wayside in favor of clothing that you ultimately feel cool and comfortable in. Even I am guilty of this on occasion! 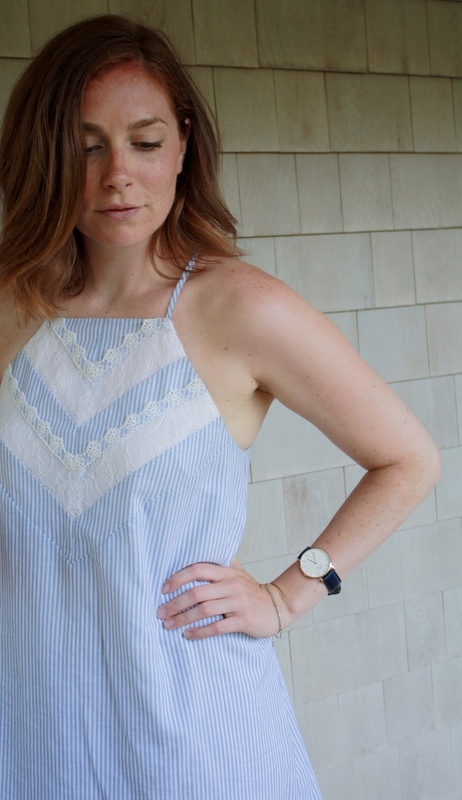 When it is too hot for most clothing, a light sundress is the closet staple you need to get you through the heat while still looking put together. For all of us occasional lazy fashion girls out there, the best part about dresses is that they require minimal effort to put an entire look together. Throw on your favorite lightweight summer dress, add a pair of heels and some jewelry and you're good to go! The dress I am wearing seems to be sold out pretty much everywhere. You can find it by clicking the photo below, but it is going fast! Since you all might not be able to get the same dress I am wearing, I have included some other great summer sundresses below. If you see one you like, all you have to do is click on the photo to shop it for yourself. Enjoy! !